Scheduling aerial support to meet the objectives of your West Virginia aerial photography, videography, and surveying projects has never been so easy. Through a proven reservations process, Fairlifts agents can source suitable resources that not only meet your expectations but will surpass them. Experienced operators and pilots make use of seasoned crew, hardware and airborne technology to deliver a quality result to meet the requirements of your aerial photography and videography challenges and to supply your project’s need for fast and accurate data collection for mapping and surveying across a range of industries. As helicopters are inherently more maneuverable then their fixed-wing counterparts, they are the perfect means of collecting images, videos, and information across the varied terrains attributed to West Virginia. As is this case with any state locIn West Virginia, aerial support is vital to a number of industrial pursuits, corporate initiatives and is used widely to affect by local and government based agencies alike. West Virginia’s law enforcement agencies are using the advantage helicopters deliver to improve upon their approach to combat crimes including initiatives to counter the widespread sale and distribution of narcotics. In West Virginia, as recently as December of 2017, the governor stated that he was going to make use of all resources at his disposal to allow for law enforcement officers to safely and effectively deal with an increase in drug related crimes, even enlisting the help of outside resources like the National Guard. According to National Guard Maj. Gen. James Hoyer, in a statement he posted to the Guard’s social media account, “Governor Justice has asked that the West Virginia National Guard use its counter-narcotics support program to provide additional assistance to law enforcement agencies and leaders in the city of Huntington to address the current threats that they face. So the Guard will be providing additional technical support in the way of analytical support, as well as some aviation assets to ensure that we can provide that support work so that law enforcement agents can get out on the street and do the things that they need to do to address these existing threats." 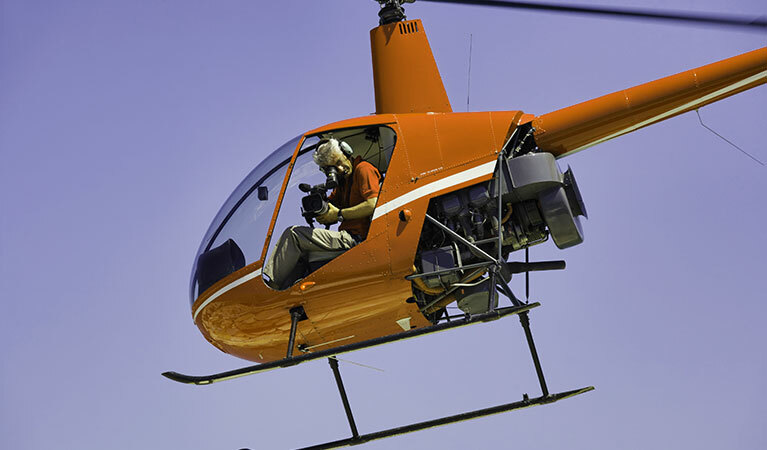 Helicopters are a valuable resource in the aerial photography and videography arsenal for a number of West Virginia based corporations, agencies, and industries. From real estate and film production to integrating advanced mapping and surveying technologies to be used in site surveys, utility patrols, and mining exploration, helicopters are a necessary component in completing aerial image collection projects across West Virginia. In West Virginia, helicopters are essential in the collection of photographs and video footage used by a range of industries and professions. From real estate to film production, the implications for helicopter support are limitless. Helicopters simplify the capturing of captivating imagery and state of the art high definition equipment delivers high-quality results. Aerial surveying can be used to benefit a number of industries. From exploration efforts to the inspection of pipelines, helicopters are the most effective means of collecting precise information. Helicopters used in conjunction with cutting-edge airborne light scattering technologies pinpoint leaks in energy resource pipelines. These technologies can also be used to draw lasered borders onto properties and in the inspection of ROW and easements to confirm compliance. Helicopters inherent abilities to fly fast, low and at a slower pace make them a vital resource for Washington's law enforcement agencies. They can deliver accurate representations for the purpose of collecting footage of staging sites or crime scenes and during the pursuit of individuals. Civil and federal agencies can benefit from the aerial advantage being thousands of feet in the air provides, stake out properties and individuals, execute search and rescue operations, deploy an immediate emergency or aided response and transport personnel safely and securely. Helicopters are used to conduct aerial monitoring of wildlife and in their effective management in West Virginia. Population counts are easily conducted utilizing video or sensors to determine the number of a particular species, which members of the group are being underfed or are ill or injured, and in tracking lost animals and predators. 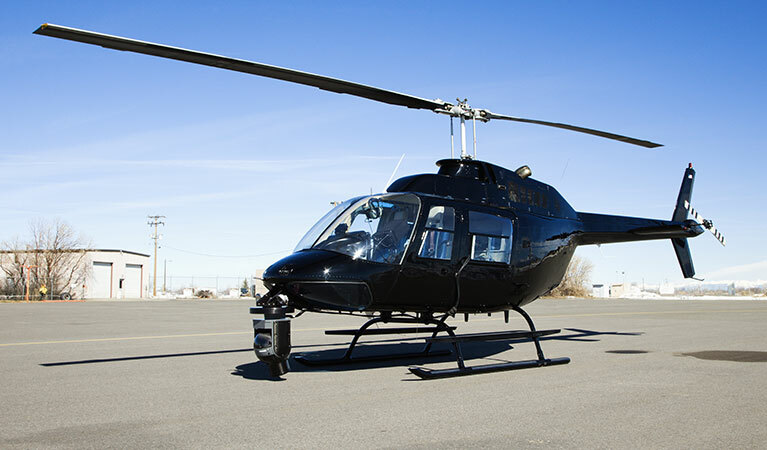 Helicopters also offer a platform from which to conduct an aerial census for the purpose of wildlife conservation. FairLifts agents are available 24 hours a day, seven days a week. Our reservation process is straightforward and convenient and can easily be started by completing the contact form on the corresponding page of our website or calling today, Response times vary and may take up to 24 hours.